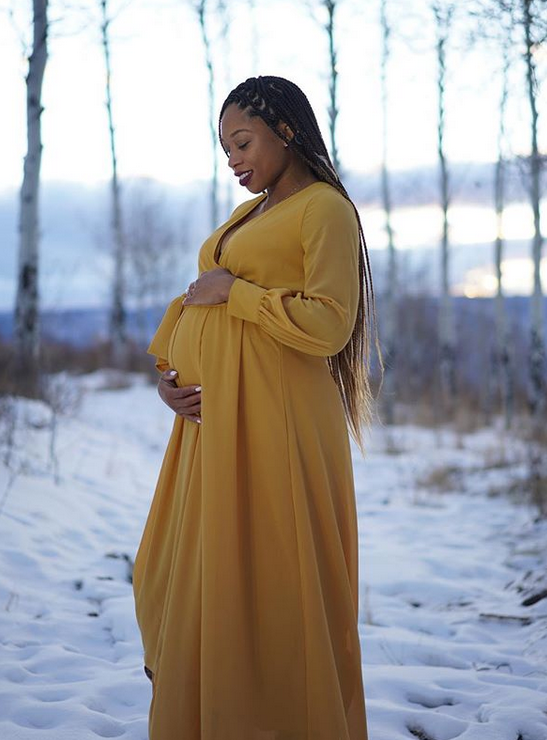 Olympic gold medalist Allyson Felix is embarking on a new chapter in her life. She's a mom! 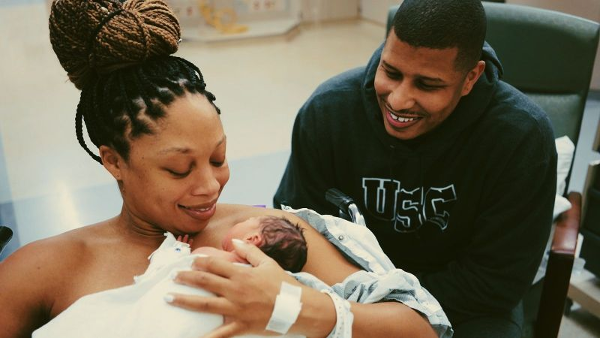 The first-time mom - who is the most decorated woman track and field star in U.S. Olympic history - and her husband Kenneth Ferguson welcomed their daughter, Camryn, back in November, unbeknownst to many. Allyson had kept her pregnancy under the radar and out of the public eye up until recently when she announced she gave birth to a baby girl prematurely. She had a whole plan drawn up about how she was going to share the pregnancy news with everyone, but life had other plans. Their baby girl came 2-months prematurely. The couple welcomed baby Camryn after an emergency C-section at just 32 weeks of pregnancy. Baby Camryn was hospitalized in NICU, however she's getting stronger and stronger each day. 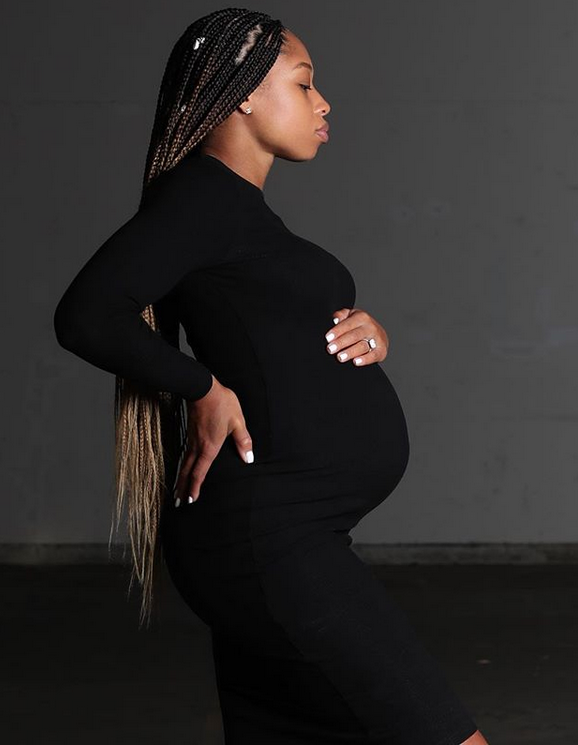 In a candid interview with ESPNW, the 33-year-old athlete revealed she kept her pregnancy under wraps out of fear that she would be risking her career and she felt like she would be letting her fans down. But, on the flip side, she was super excited about motherhood. "I was so excited to be pregnant," she said. "I've always wanted to be a mother. I feel so incredibly blessed. This shouldn't be a secret. I want to share this journey with everyone who has ever known me or cheered for me. So why has it taken me eight months to share this news?" "I think it's the same reason it took me until now to feel ready to start a family and have a child." "Somewhere along the line, that pristine nice girl image I was trying to live up to became more important than who I really was. I was putting other people's needs and expectations of me ahead of my own. I was doing things because I felt like I was supposed to, rather than what I wanted to. It felt like ticking off boxes on a checklist rather than living my life." She knows this new chapter in her life will be rewarding, but it's also going to be a lot of hard work to get back to performing the way she did pre-pregnancy. She's up for the challenge though. "It's hard to say why I finally felt ready to start a family," she said. "I just know that I was. This is a risk. It could affect how I run in 2019 and 2020. I know it's going to be tough in a way that I haven't experienced before. But I'm up for it." Allyson said she's changing things up and will now live for herself and not how others want her to live. "But it's time to change. To be the real me instead of who I think people want me to be, or what I have previously chosen to show them on social media. Allyson talked about how she had everything about this pregnancy documented and planned to a T, but it all went out the window after a scary doctor's appointment. "'I want you to go to the hospital to get checked out,' the doctor said. They didn't like what was happening with the baby's heart rate. She was so calm, I didn't realize how serious it was. "'Can I go after the photo shoot this afternoon?' I asked. This appointment had taken so much longer than I expected, I was really cutting it close if I was going to make the shoot in time. 'No, you need to go now,' she said. 'Right now'" I immediately called my husband to let him know this was serious, and he should leave work and rush to the hospital. "My blood pressure was way too high. The baby's heart rate was decelerating. This was dangerous for both of us and if it didn't improve soon, I was going to have to deliver her by emergency C-section within 48 hours. "It's amazing how quickly your priorities change in moments like this. At that point, the only thing I cared about was that my daughter, Camryn, was OK. I didn't care if I ever ran track again. I was just praying that she would be OK.
Baby Camryn was born 3lbs, 7oz and 16 inches long. Soon as she was born, nurses took her away to the NICU. "But right now I'm just happy my daughter is OK. She's going to be in the NICU for a while, but she's OK and I'm so, so grateful," she said. Allyson said this experience has taught her life lessons and no matter what, she's content knowing she will always try her best. She's no quiter. "One of the lessons I've learned on this journey is that you can't control any of this. You can only control how you react to it. I choose to be grateful for what I have and do my best every day to hold on to it. "If I come back and I'm just not the same, if I can't make a fifth Olympic team, I'm gonna know that I fought, that I was determined, and that I gave it my absolute all. And if it doesn't end up the way I imagined in my head, it'll be OK. I just have to go for it, because that's just simply who we are now.